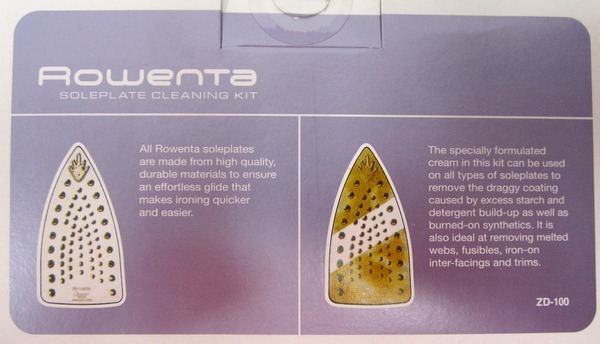 The Rowenta sole plate cleaner is specially formulated to remove build-up from melted synthetics, webs, fusibles, & iron-on trims. 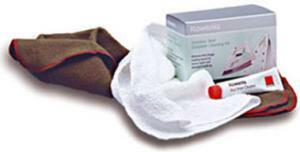 The kit contains a specially formulated cream that cleans soleplates by removing the draggy coating caused by excess starch, detergent build-up and burned-on synthetics. It is also ideal for removing melted webs, fusibles, iron-on interfacing and trims. 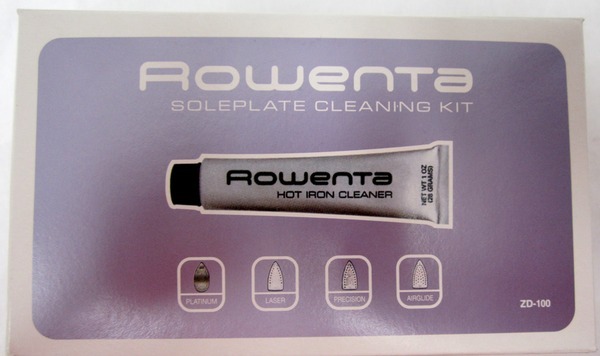 The cleaning kit is appropriate for use on all types of soleplates. I am very pleased with the ease it takes to order a product and how fast your deliverey is. I will continue to purchase from your company and I will recommend Allbrand to everyone I know. Thank you very much. My experience with your company was pleasant. My only wish is that more sewing items such as notions be made available.